Today we are profiling Daniel Hall from The Architect Builders Collaborative Inc, a member of the Live Green Perks program. Why should a consumer choose your services over mainstream/non-green service providers? We spend over half our lives inside our homes so they should be healthy, regenerative and beautiful places. Why is being green important to you? We all can help the fight against climate change by making small decisions. Renovating our home is a huge opportunity to make a larger scale impact on health, wellness and energy use. What does your business offer as a Live Green Perk? Live Green Perks: hundreds of deals on everything from coffee to kayaks. Download the free app today! 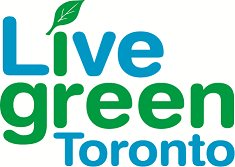 © Live Green Toronto. Simple theme. Powered by Blogger.